For Direct Connection to the ES400/MC45/MPM100. If Using For The MC2100 Model, Must Be Used in Conjunction With The USB Cradle. Motorola - Spare Battery For T..
Motorola - Battery for MC2100Motorola - Spare Batt..
Motorola - MC2100 Single Slot ..
Motorola - MC2100 Single Slot USB Cradle Moto..
Motorola - Accessories Power Supply for MC2100, MC..
Motorola - USB Sync and Charge Cable. For Direct Connection to the ES400/MC45/MPM100. If Using For The MC21xx Model, Must Be Used in Conjunction With The USB Cradle. 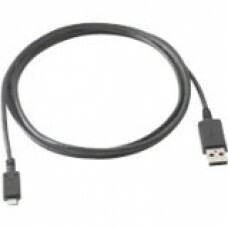 Tags: Motorola - USB Sync and Charge Cable.